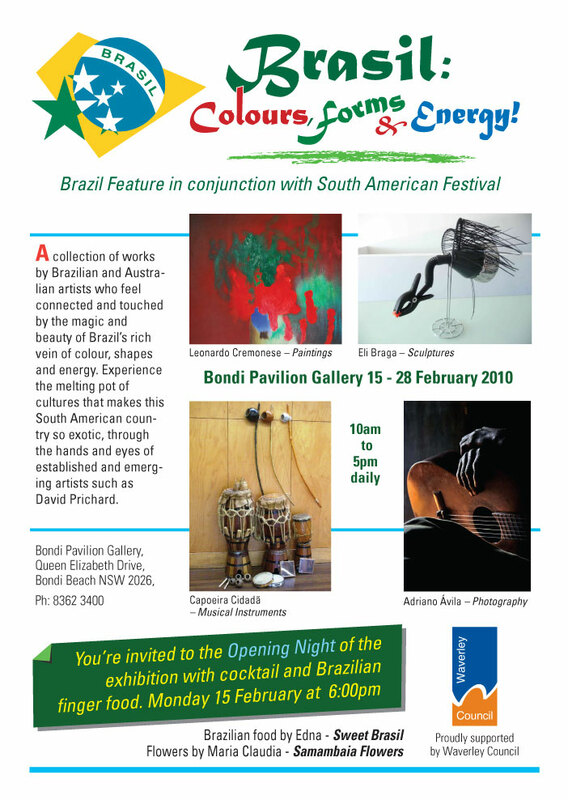 I’m really pleased to kick off 2011 with my show ‘Made in Brazil’ to be held as part of the annual South American Festival at Bondi Beach. I was invited to hold a solo show as part of this popular event by Waverley Council’s Bondi Pavilion Gallery. It would be great to see you at the opening if you can make it on Wednesday February 2 – from 6pm. I was born in a small town north of Rio De Janeiro, Brazil, in 1970. I spent my childhood living in the states of Piaui, Minas Gerais and Rio before moving to Bondi Beach with my family in 1983. I finished my schooling in Sydney and went on to complete a Bachelor of Fine Arts and Master of Art from the University of New South Wales. 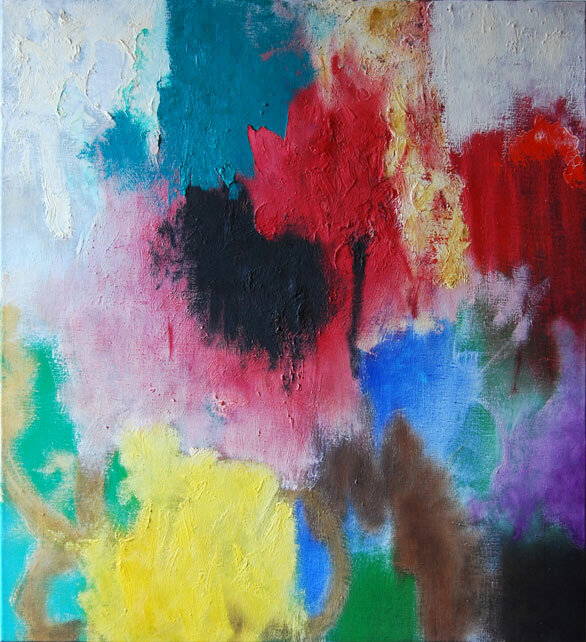 I have successfully exhibited since 1991 and my work has been featured in many publications and is held in private collections in Australia, Europe and South America. 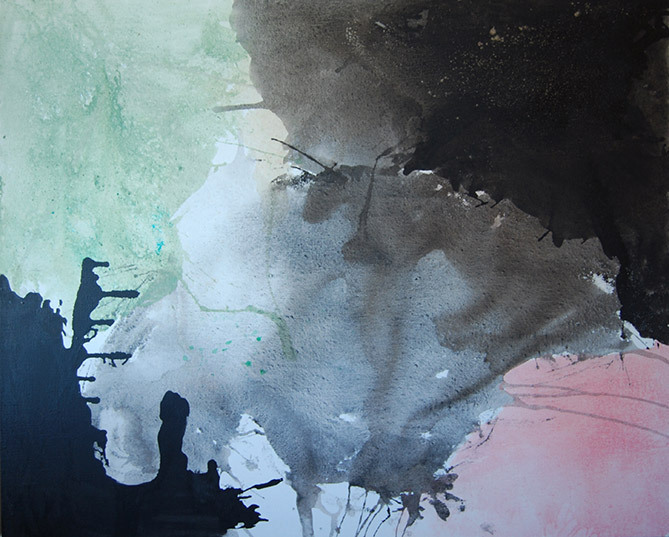 I am currently represented by Iain Dawson Gallery in Paddington. 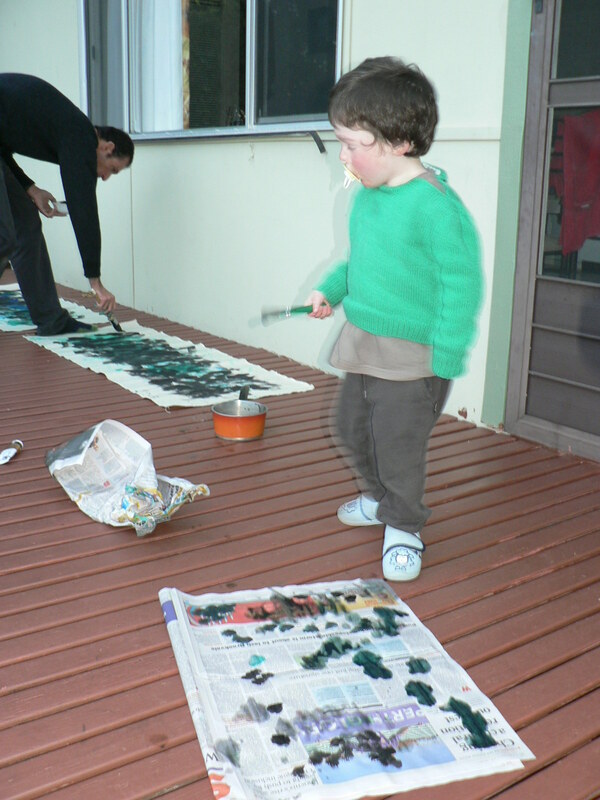 These works were created in three places: my hometown in Brazil; a wild and deeply spiritual place on the NSW South Coast; and in the studio and garden of my workplace in Bondi. Every piece shares my desire to attempt to enrich my work with a more direct capturing of energy from both inside and outside of my body. This could be compared to the mountainsides near where I was born which are solid granite on the inside, but externally teeming with plants, animals, waterfalls, extreme weather. Or a submerged rock platform on the South Coast which is crawling with life: lobsters, crabs, starfish – as well as being the deathbed of the long lines of swell which travel thousands of miles from the south to be finally unloaded upon its ancient volcanic core. Then there is Bondi of course: a hard and frazzled urbanised colony tempered by sweet sea breezes and an inexplicable constant joy de vivre. This show focuses on energy – the ‘cosmic’, creative energy that is present in our bodies as sexual energy and also in the world around us. It resonates differently in different places. I’ve deliberately chosen works spanning the last six years in which my quest to engage with this energy has been quite focussed. Hence, many of these works are on paper as opposed to the works on canvas which I usually exhibit. For me, paper lends itself to spontaneity and speed and I can move my body around differently – in a dance with my environment. 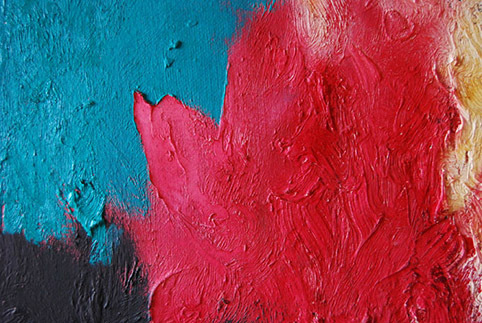 In these works I have brought the immediate environment into the work in the form of sand, earth, clay, ground rocks. 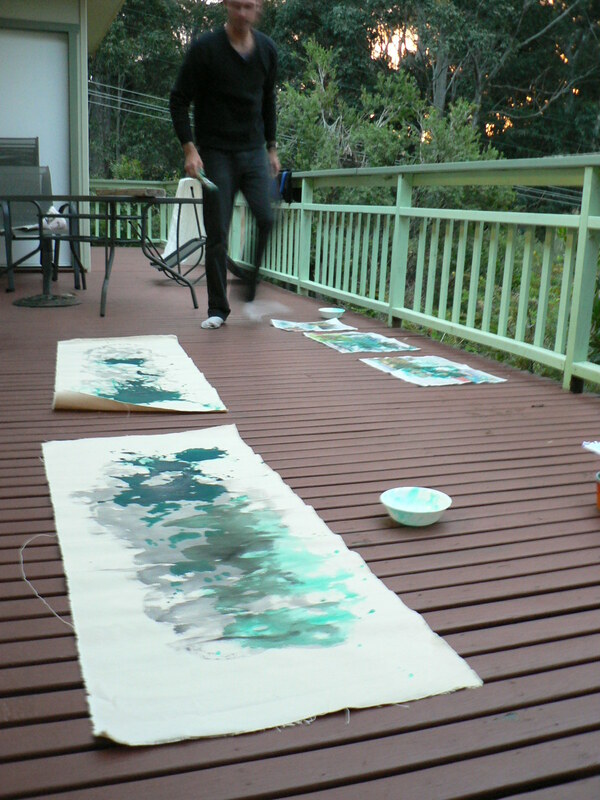 I often worked outdoors– sometimes in the rain so the raindrops became part of the work too. I even tried working in the dark so I could concentrate on the energy rather than the product. I feel that a certain purity and immediacy linked to the energy at the moment has been captured in these works. The thread that links the places where I created these works – and the energia – is a visceral force which is the core of life itself as understood by the devotees of the Dionysian religion of Ancient Greece. Dionysos tells us that life is energy. As a Brazilian this is something I deeply understand. My heritage culture naturally responds to this life-force in many ways: through Carnaval, capoeira, and the music of Gilberto Gil, Caetano Veloso and many others. It is how we are made. If you wonder what my paintings might look like in a home environment, here’s a short tour of some of my work hanging in my apartment. If you’re heading down to Bondi in February make sure you come and check out my work in this group show. There’s some good work by other Brazilian artists and photographers too. A few shots from last night’s opening. Thanks to everyone for making it a great night. If you’re in the Paddington area, please come and see the work for yourself. I am really pleased to be showing with the Iain Dawson Gallery in Sydney for the first time this month. A big thanks to Iain for all his support and advice this year. I hope you can all make opening night or get along to the show at some point. I feel good about this body of work. Opening night: October 20, 6pm. To see all the works online click here. I was really pleased to be chosen as a finalist in the Blake Prize this year. If you can get along to the National Art School in Darlinghurst, come and have a look at the show. It runs until October 3 2009 (my painting is in the downstairs gallery on its own wall). Details below. Another year is well and truly upon us and after my usual summer hiatus I started my painting year this winter with a trip to Brazil where I kicked things off by making some works on paper. In these works I was still interested in the properties inherent to the materials, as I was last year (see “my creative process unplugged” blog entry below), but with a greater focus on a more metaphysical kind of energy as well. Since coming back to Australia – and back in the studio – I keep pursuing this direction, as well as using a wider range of materials than the usual oil on linen. If there is any spiritual insight to be gained from this process I won’t know what it is until sometime after the work is completed… more about it when the time comes. On another note, I’m happy to announce that I’m now being represented in Sydney by Iain Dawson Gallery ( www.iaindawson.com ), and have locked in dates for an exhibition there in October 20 to 31 2009. This show Mainomenos Dionysos will consist of my first consciously Dionysian body of work, produced in 2007 but never previously exhibited. This should be my strongest show to date, since this work marks the consolidation of the new direction I embarked on in 2006 and which was exhibited with great success last year. If you are on my mailing list you will be receiving an invitation to the opening drinks. If you are not but would like to be please sign up here. Hope to see you there. It’s indeed been a busy winter and spring and I’ve hence finished another body of work. 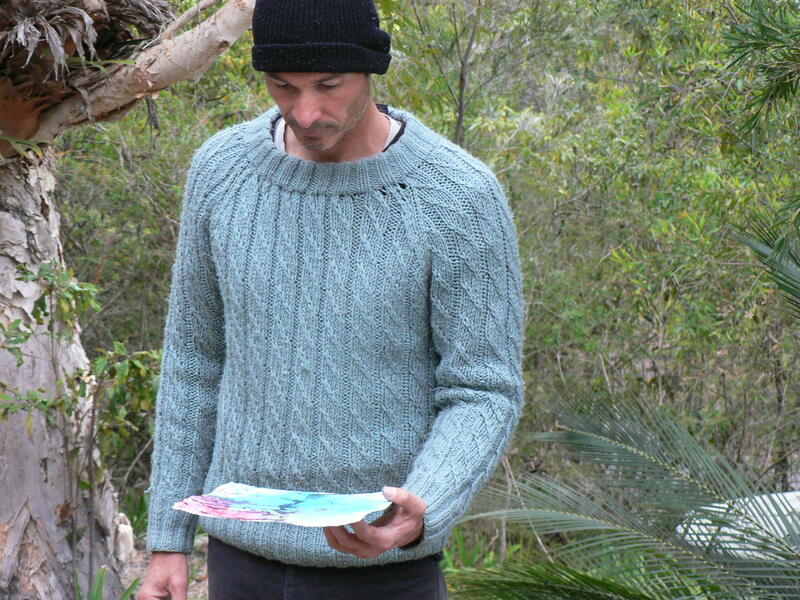 This work will be exhibited in November 2009 at Tin Sheds Gallery (Sydney) in a group show curated by Charlie Sheard and featuring himself, Floria Tosca and Tom Doherty, as well as myself. Until then you can check out reproductions of the work below. If you’re not on my exhibition mailing list and would like to be, please join here. I was really pleased to be featured in Radar magazine’s premier issue. Radar is a Sydney-based publication that is aiming to show off the best of Brasil to an Australian audience. I know the launch edition was a big project, so a huge thanks to Andrea Moitinho and her team for doing a great job (and including my work). Who said Winter was the Quiet Season? I’m pleased to say that since this last exhibition there has been a lot of interest and a lot of energy around my work. Amongst other things my website will be featured on NY Arts Magazine’s catalogue of websites to be published in November and is already online on their site. See my profile here. As soon as I get a chance I will also have a profile up on www.artreview.com which is an interesting site to visit or join, if you are into this web stuff. There is a good chance you are; you are reading this aren’t you? As I was saying, there has been a lot of focus on my recently completed work; but I haven’t forgotten what is really important for an artist – the ongoing creation of work. Since May I’ve been deep in the throes of producing my next body of work, which – if my usual work rhythm is repeated this year, should be finished around December. This year I keep going with my investigations on working by taping into an earthly or Dionysian energy rather than using my conscious mind in the creative process. Early in August I was able to go on a quick trip to a secluded spot on the NSW coast where I completed a couple of important works in this respect. It has been a cold but beautiful winter in Australia. Let’s see what spring will bring.